Summary: Indiana University researchers provide evidence that rats are able to mentally replay memories of past events. The study reveals the animals’ memories were long lasting and resistant to interference from other memories, both of which are hallmarks of episodic memory, researchers say. To test the rats’ memory, IU researchers placed the animals inside an “arena” with different odors. The rats were rewarded when they identified the second-to-last item or fourth-to-last odor from a list of unpredictable length. NeuroscienceNews.com image is credited to Indiana University. Funding: The study was funded in part by the National Institutes of Health and the National Science Foundation. Image Source: NeuroscienceNews.com image is credited to Indiana University. Video Source: Video credited to Indiana University. Original Research: Open access research for “Replay of Episodic Memories in the Rat” by Danielle Panoz-Brown, Vishakh Iyer, Lawrence M. Carey, Christina M. Sluka, Gabriela Rajic, Jesse Kestenman, Meredith Gentry, Sydney Brotheridge, Isaac Somekh, Hannah E. Corbin, Kjersten G. Tucker, Bianca Almeida, Severine B. Hex, Krysten D. Garcia, Andrea G. Hohmann, and Jonathon D. Crystal in Current Biology. Published May 10 2018. Indiana University”Neuroscientists Find First Evidence Animals Can Mentally Replay Past Events.” NeuroscienceNews. NeuroscienceNews, 10 May 2018. 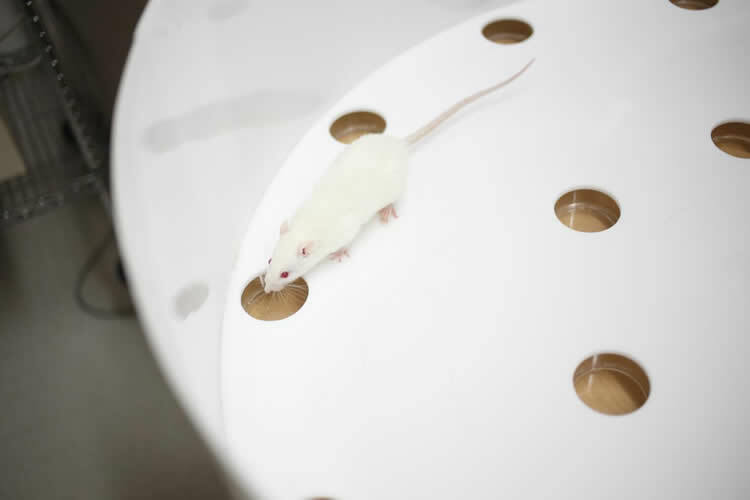 Indiana University”Neuroscientists Find First Evidence Animals Can Mentally Replay Past Events.” http://neurosciencenews.com/animal-memory-recall-9017/ (accessed May 10, 2018). Vivid episodic memories in people have been characterized as the replay of multiple unique events in sequential order. The hippocampus plays a critical role in episodic memories in both people and rodents. Although rats remember multiple unique episodes, it is currently unknown if animals “replay” episodic memories. Therefore, we developed an animal model of episodic memory replay. Here, we show that rats can remember a trial-unique stream of multiple episodes and the order in which these events occurred by engaging hippocampal-dependent episodic memory replay. We document that rats rely on episodic memory replay to remember the order of events rather than relying on non-episodic memories. Replay of episodic memories survives a long retention-interval challenge and interference from the memory of other events, which documents that replay is part of long-term episodic memory. The chemogenetic activating drug clozapine N-oxide (CNO), but not vehicle, reversibly impairs episodic memory replay in rats previously injected bilaterally in the hippocampus with a recombinant viral vector containing an inhibitory designer receptor exclusively activated by a designer drug (DREADD; AAV8-hSyn-hM4Di-mCherry). By contrast, two non-episodic memory assessments are unaffected by CNO, showing selectivity of this hippocampal-dependent impairment. Our approach provides an animal model of episodic memory replay, a process by which the rat searches its representations in episodic memory in sequential order to find information. Our findings using rats suggest that the ability to replay a stream of episodic memories is quite old in the evolutionary timescale.